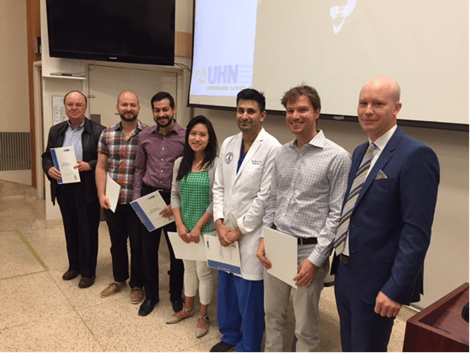 Every year UHN recognizes excellence in teaching for General Surgery Residents, Clinical Fellows and Faculty. This year Toronto HPB Fellow, Dr. Nathan Zilbert, received the Paddy Lewis Award for teaching. Dr. Frederick Ira Lewis was a Medical School Teacher and Surgeon for more than 40 years. Raised in Ontario, he was a World War I veteran, wounded at the battle of Vimy Ridge, when he enrolled at the University of Toronto Medical School. His students called Dr. Lewis, a genial man, ‘Uncle Paddy’.